I love Canva, I’m such a huge fan of the tool and I use it regularly. 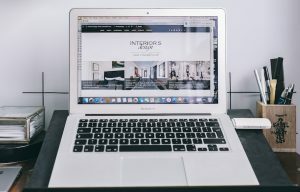 I’ve been using the tool to design Facebook covers, blog headers, graphics and more since its early beta days. Over the last year or so, I’ve picked up a few useful tips and tricks. I thought I’d share these with you today. the blank canvas, such as a block of text, a photo, a graphic, an icon etc. How to nudge elements: Click the element. Then hit the shift button + any arrow key in the direction of your choice! If you’ve just spent five minutes aligning your elements, but then decide they’ll look better in a different location on the canvas, this tip is for you. You can group all of the elements together and move them in one go. Until recently, I had no idea this existed. 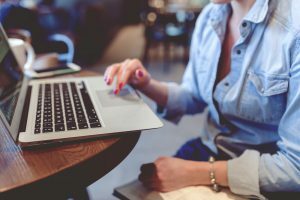 How to group elements: Hold down the shift key while you click on multiple elements. This will group them together. Once grouped, nudge/move elements as normal. Sometimes, if you’re trying to move a small element (such as thin rectangle) it can be difficult to select it with your mouse. I often end up grabbing the background image or another element nearby in error! Grr! I worked out that if you hover your cursor over an element, it’ll become surrounded by a light grey dotted rectangle. It’s faint, so zoom in to see it if needs be. Once you see the box around the element you’re trying to select, simply click your mouse! See above for an example. You can just about see the grey box before I click the yellow line. If you’re a stickler for spacing, you’ll like this tip for centring text! Make sure your text box is the same width as the element you’re trying to align it with. Then, simply navigate to the drop down menu (as pictured) and hit the “centre” option. I often use tip one (nudging elements by 10px) to equally space the elements on my page. For example, if you have a title at the top of the page and some text further down, you might want to place a photograph between them both. I’ll use the nudging technique and count out the “nudges” between the two elements to ensure perfect spacing. For example, In the image below, there are six nudges between the title and the text. So, I place my image three nudges down from the title. This is difficult to explain with clarity, so if you don’t understand leave a comment below. I’ll be happy to throw together a quick video tutorial demonstrating this technique further. I use a free browser extension called Grammarly to check my spelling and grammar as I type. It checks everything I type into WordPress, Gmail, Facebook and of course, Canva. It comes in very handy and stops me making silly mistakes! 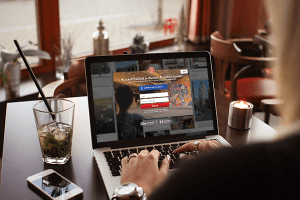 Download now: Available for both Chrome and Firefox. 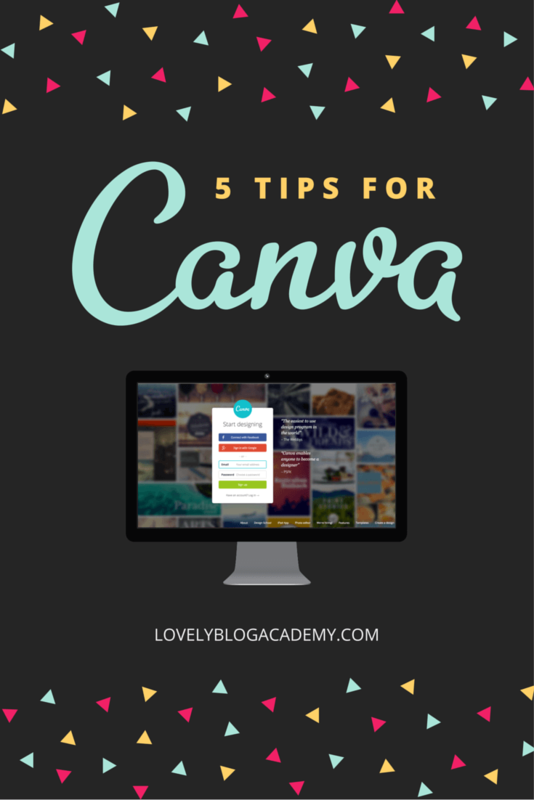 Did my Canva tips & tricks help you? 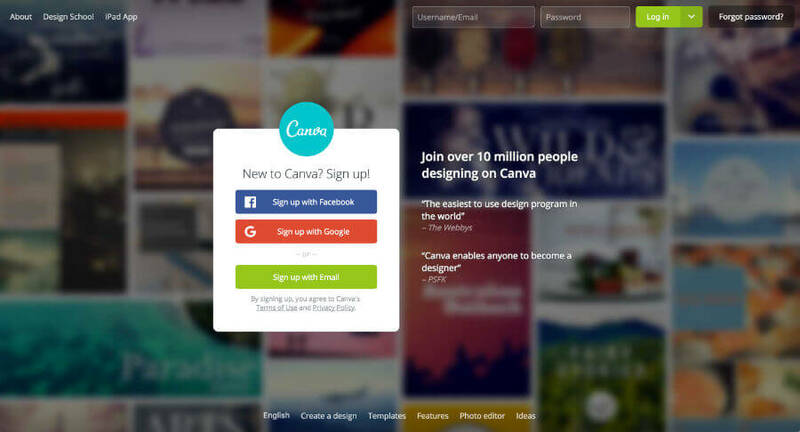 Just curious if you use the free version of canva? I dont seem to be able to find a layout that is free. I’m just trying to make simple images with text. Nothing fancy. Any thoughts or suggestions? BTW – I liked your suggestion for the 2 chrome profiles. I do indeed use the free version of Canva. There are a handful of free layouts. You can use any paid layout for free by deleting the stock photo or stock vector and using a free alternative. Try downloading the project when you’re done. It’ll tell you if you need to pay or not (you can cancel if you don’t want to pay the $1 – it’s not like you get locked in and HAVE to pay). Just downloaded Grammerly thanks so much for the tips ? Grammarly is a great tool! Thanks for commenting ? I’m just beginning to use Canva for a newsletter. It seems really cool, but I’m frustrated that I can’t “link” or “connect” text boxes so the text will flow from one page to another. Do you know if there’s a way to do that? Ooooh good question…. I don’t think you can…. I am sure I had the same problem (it’s been a while since I last used Canva for creating a document). This seems a bit crazy, I hope it’s something they’ll work on.